HotelRED is a 12-minute walk from the meeting site. A shuttle will be available for those not wanting to walk. Reservation includes complementary parking and local/airport shuttle service. Doubletree Hotel is a 19-minute walk from the meeting site. A shuttle will be available for those not wanting to walk. Room rate is $159 per night (plus taxes). To make a reservation, book online at or call 608.251.5511 and use the code “RNA”. You can also use the toll-free reservations number at (800)222-TREE. Reservation includes complementary parking and local/airport shuttle service. The closest airport (15 minutes from central Madison) is the Dane County Regional Airport (MSN), which is served by many Airlines. We recommend coming in on Delta Airlines via either Minneapolis (MSP) or Detroit (DTW). One can also reach Madison by flying into Milwaukee (MKE) or Chicago (ORD). MKE is a 90 minute drive from Madison with bus service available. ORD is a 2-1/2 hour drive with bus service also available. A shuttle service will be provided between the DoubleTree and HotelRED Hotels and the meeting site with specifics about timing to be decided closer to the meeting time. Most hotels are within walking distance of the meeting site and provide some parking. 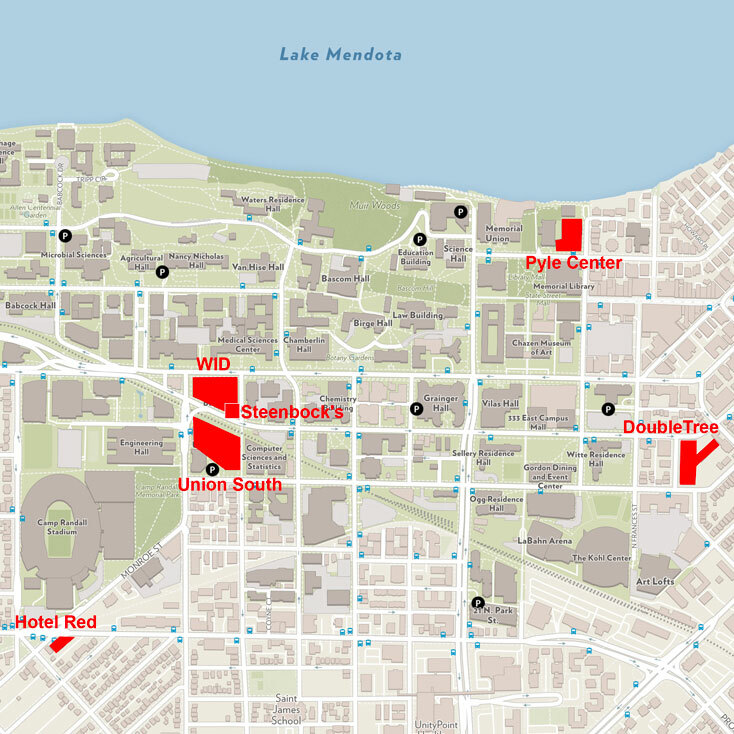 Parking is extremely limited on campus and requires a permit. Let us know if you want to explore that option. Cancellation and Refund Policy: There will be no registration refund available.